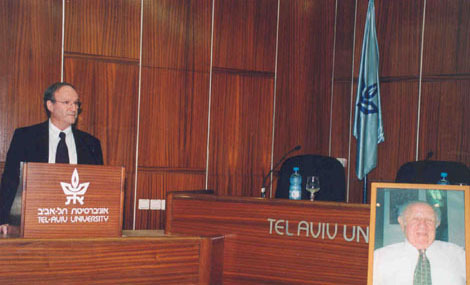 Sponsored by the Office of Public Affairs, U.S.
Tel Aviv University Is Israel Really the Center of the World? Is Israel Really the Center of the World? 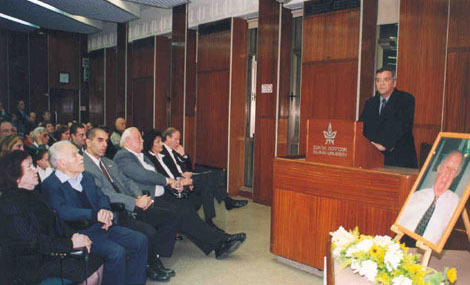 As in the previous media dialogues, the objective is to have an open exchange of ideas between senior journalists, from Europe and Israel, involved in the coverage of the "other side". 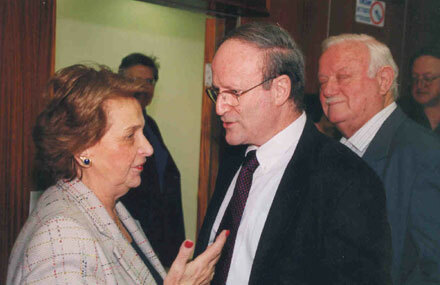 Both European and Israeli journalists can find numerous reasons to be critical of the other. We asked whether this criticism is justified, and to what extent, with hindsight it might have been moderated. 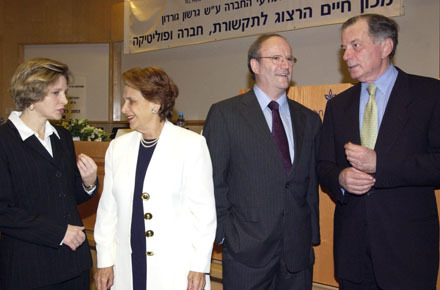 To avoid generalities, the debate focused on the coverage of recent events, mainly the war in Lebanon and the Israeli operations in the Gaza strip of the autumn of 2006. The final session dealt with another issue on which European and Israeli perceptions often differ, namely the migration to Europe of people from Islamic countries. Diplomacy and the Media: who leads whom? 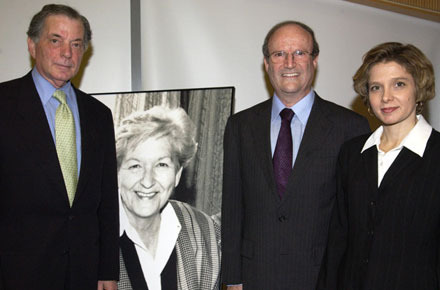 "A Missing Dimension in Peace Journalism: the Conflict and Peace Correspondent." What is Peace Journalism: Can the media promote peace? Annabel McGoldrick, Director, Reporting the World TV. 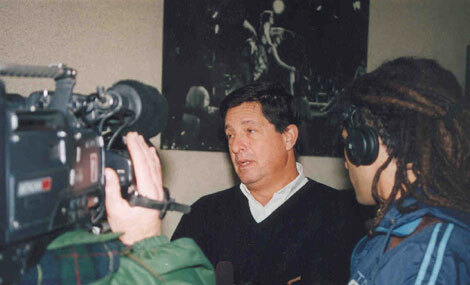 Jake Lynch, Director, Reporting the World TV. Can the media promote peace in the Middle East? Documentary Films: "On the Condition of Man"
The lecture is accompanied by clips from documentary films made by the lecturer. Photography: "On the Condition of Man"
A discussion of proposed reforms in modes of election propaganda. 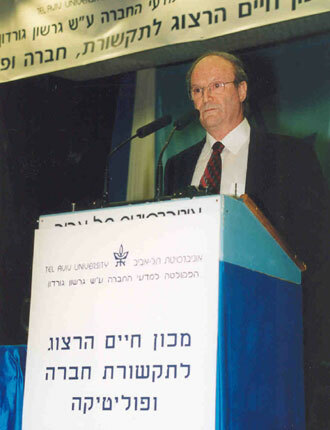 The discussion focuses on a position paper prepared by a research team at the Chaim Herzog Institute. 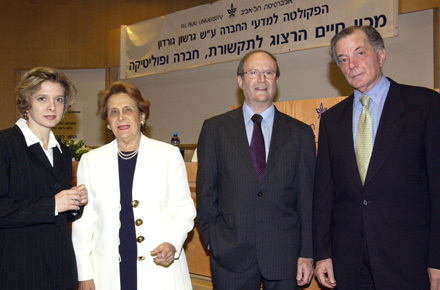 The Israeli Institute for Democracy and the Press Council collaborated in the effort. 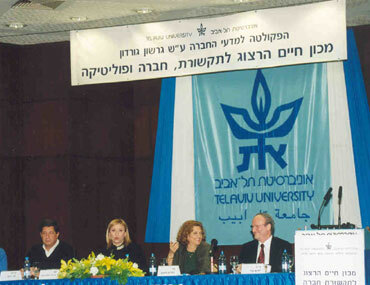 Hirsch Goodman, Jaffe Institute; Shalom Keitel, managing director, Channel Two News Company; Carmit Guy, Voice of Israel Broadcasting; Dr. Moshe Zuckerman, Institute for the History and Philosophy of Science, Tel-Aviv University; Dr. Hillel Renavi, Department of Communications, Academic Trend, Israel Business College. 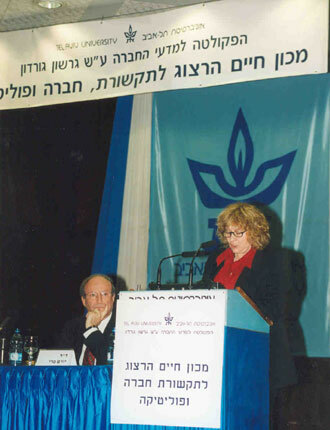 A discussion of topics related to the journalistic activities of Hana Zemer. 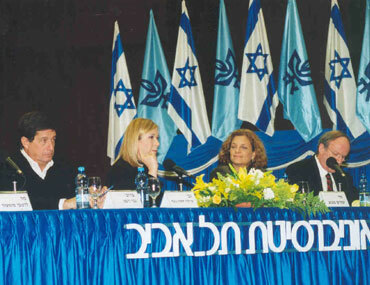 The Media in an Election Campaign A conference on the performance of the news media in the Knesset elections. First session: Do the Media Perform Their Role in Elections Properly? Second session: Political Consulting - Profession or Side Line? 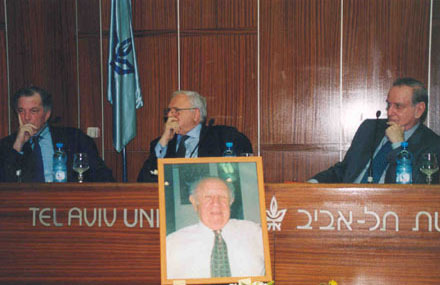 Prof. Itamar Rabinowitz; Prof. Ina Weiner; Dr. Yoram Peri; Yuli Tamir, M.K. 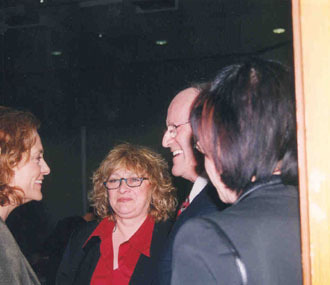 ; Lutfi Mash'our, editor of El-Sin'ara; Prof. Gabby Weiman, University of Haifa; Ayala Hasson, Channel One. 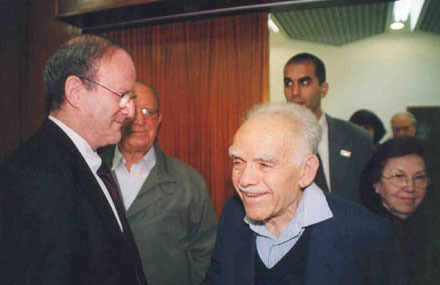 Dr. Mina Tsemach, Dahaf Surveys; Eyal Arad, Consultant on Strategy to the Likud; Tal Zilberstein, Consultant on International Strategy; Nehama Duek, correspondent and political commentator, Yediot Aharonot. 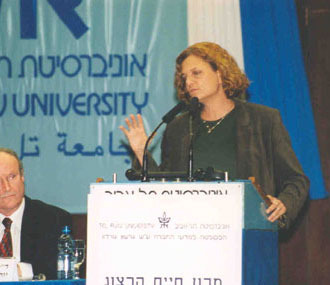 A discussion of the impact of the media on relations between Israel and the United States. 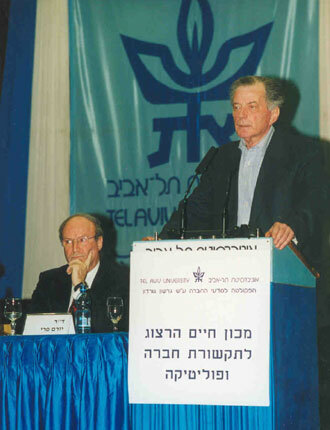 Part of a conference in memory of the journalist Moshe Zack.